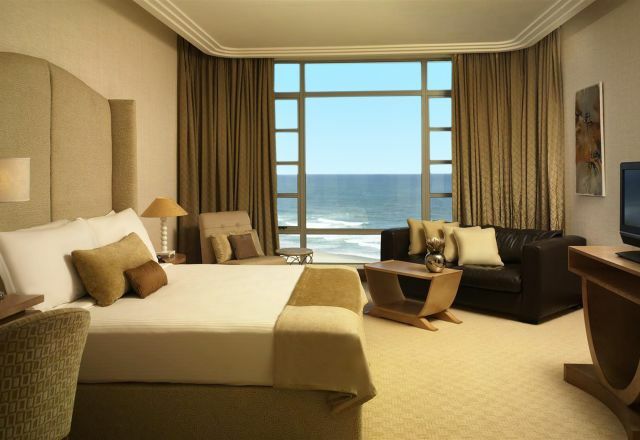 Suncoast Towers offers the finest choice of boutique luxury accommodation on Durban’s beachfront. An iconic hotel with legendary service and spectacular views of the Golden Mile. The hotel offers guests contemporary, comfortable living with a choice of 36 well-appointed en-suite rooms, suites and one spacious Penthouse Suite. A number of amenities have been thoughtfully selected to enhance the comfort of our Durban accommodation and the enjoyment of your stay. Amenities include complimentary WiFi, a 24-hour in-room dining service, in-room tea and coffee facilities, DStv, and much more. Guests can also enjoy the convenience of air-conditioning and a wake-up call facility. Wheelchair-accessible options and smoking rooms are also available upon request. For accommodation with exquisite sea views, a king bed, en-suite bathroom and luxury amenities, our Executive Rooms are the perfect choice. 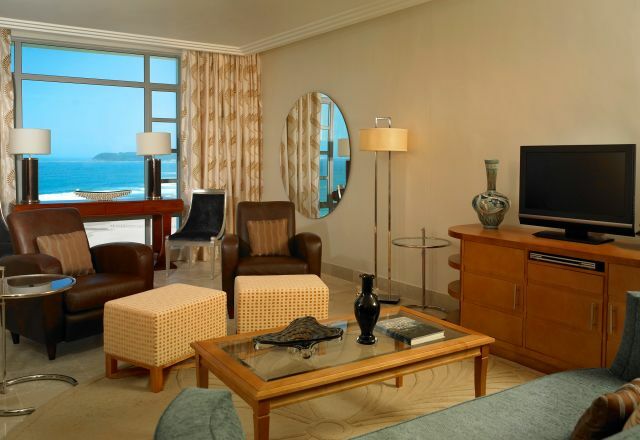 The preferred choice of 5 star beachfront accommodation in Durban. 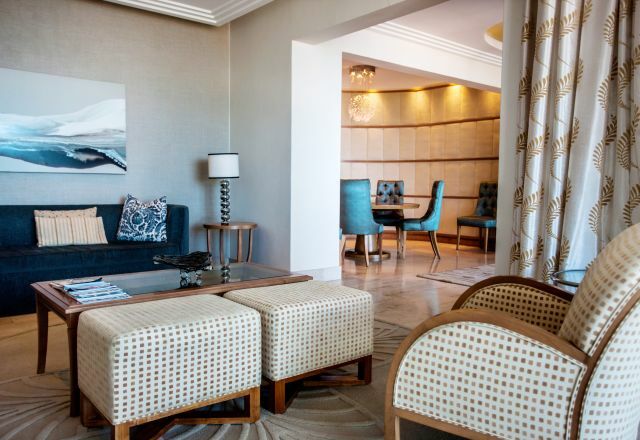 Luxury Suites offer plenty of space, a separate lounge and the best sea views. The Penthouse fills the hotel’s 10th floor and offers breathtaking sea views from all areas. 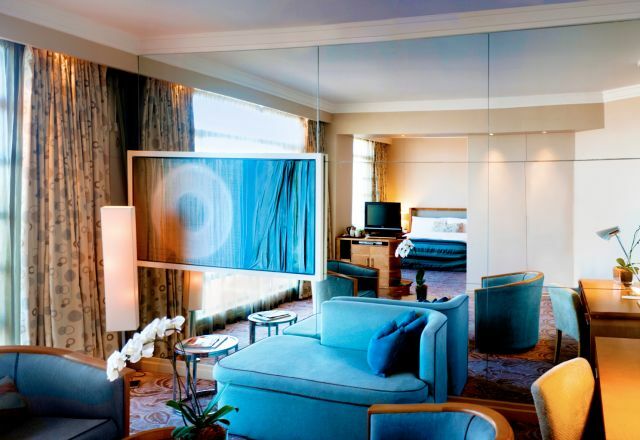 Our suites include a lounge area, have a king bed and an en-suite bathroom with a bath and shower.